The highly anticipated Miami Art Week features 20+ art fairs and events throughout Miami, Miami Beach, Downtown Miami, Design District, and the Wynood/Midtown Art District. Art Basel is the largest fair at the heart of Art Week, and the reason for the numerous satellite fairs that have risen in popularity. 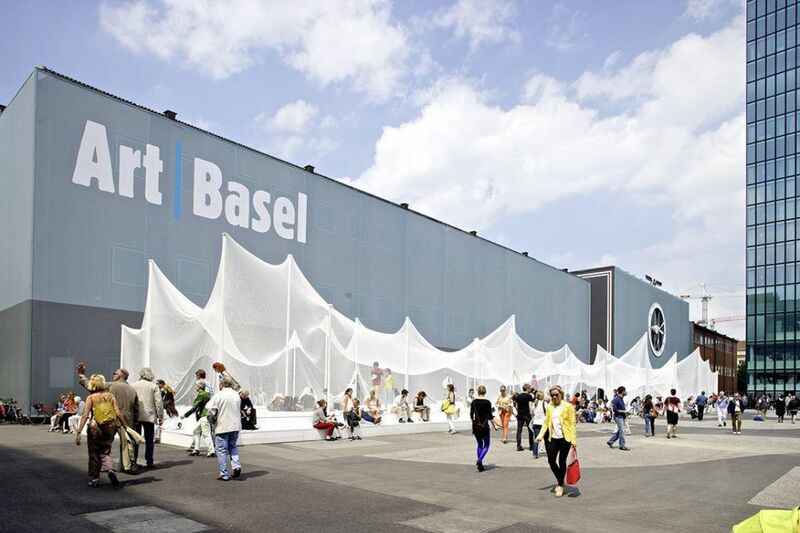 Art Week and Art Basel run annually in the first week of December. Art Basel and Design Miami are located side by side in Miami Beach. Scope is directly on the beach. Miami Beach hotel fairs include Nada, Ink, Select, and Aqua. Art Miami is another huge fair located alongside Context, and Red Dot in the Edgewater and Wynwood/Midtown Arts District. 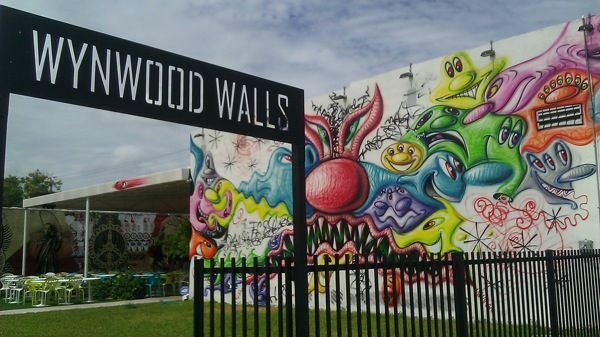 Many additional art galleries and events take place in Wynwood and the Design District. The Wynwood Walls are not to be missed during Art Week, as well as the notable exhibits and installations throughout Miami and Miami Beach. There are convenient shuttle busses to and from the fairs. Miami has taken its place on the global stage as art scene and creative expression destination. As Art Basel adnd Art Miami has continually expanded attracting tens of thousands of visitors, it can be an overwhelming experience. You will want to do some research and narrow down to your top pick events, installations, and exhibits. For the event list, not to miss exhibits, see below. For where to dine, click here. For where to drink and party, click here. Art Basel is the world's largest, premier Modern and Contemporary Art Show held annually in Basel, Hong Kong, and Miami Beach. This innovative and prestigious platform for artists from throughout the world to showcase their finest works is Miami's largest and most esteemed event. This is the show to be seen and attend, attracting the worlds leading gallerists, curators, museum directors, and collectors, in addition to the who's who and social jetset. The world meets art at Art Basel. The diverse and iconic Miami Beach with its glittering beaches, classic Art Deco architecture, and sizzling nightlife is the perfect winter meeting place to embrace this dynamic and cultural event. Held the first week of December, Art Basel attracts over 60,000 visitors every year drawn to the premier artwork by renowned artists, emerging stars, and the social excitement stimulated by this dynamic and creatively extravagant occasion. 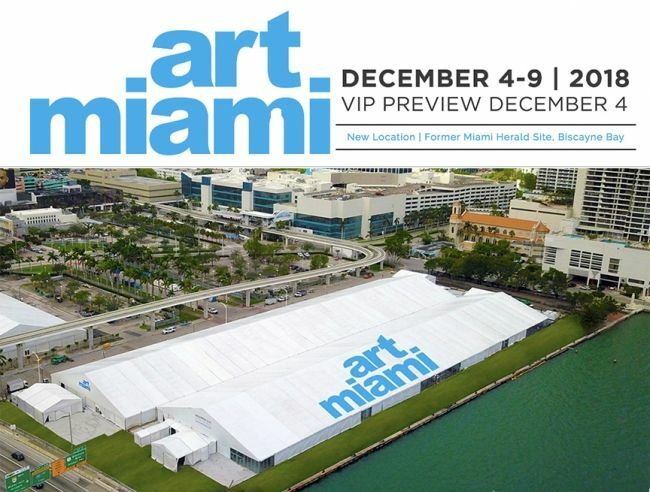 Paintings, sculptures, drawings, installations, photographs, films, video, and editioned works of the highest quality are displayed at the main exhibition hall at the Miami Beach Convention Center, with additional artwork, exhibits, and performances at Collins Park, SoundScape Park, New World Center, and nearby beaches. Galleries from North America, South America, Europe, Asia, and Africa make up the list of impressive participants. In addition to panel discussions, special presentations, and performances, exhibitions at the Miami Art Museum, Bass Museum of Art, Norton Museum, the new Perez Art Museum, Wolfsonian, and Moca further accentuate this unique event. The first day of Art Basel is the private view Vernissage, by invitation only. The show is open to the public immediately following. Tickets can be purchased online at artbasel.com. or at the show where guides, catalogs, and information is readily available. 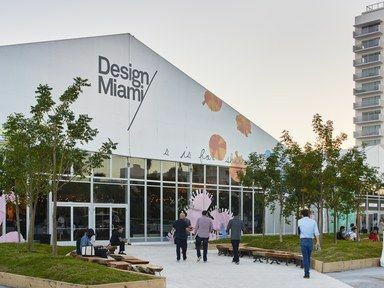 Design Miami occurs annually alongside Art Basel adjacent to the Miami Beach Convention Center at Meridian and 19th Street. This celebrated event showcases museum quality exhibitions of 20th and 21st century furniture, lighting, and objects d'art from top designers and architects. 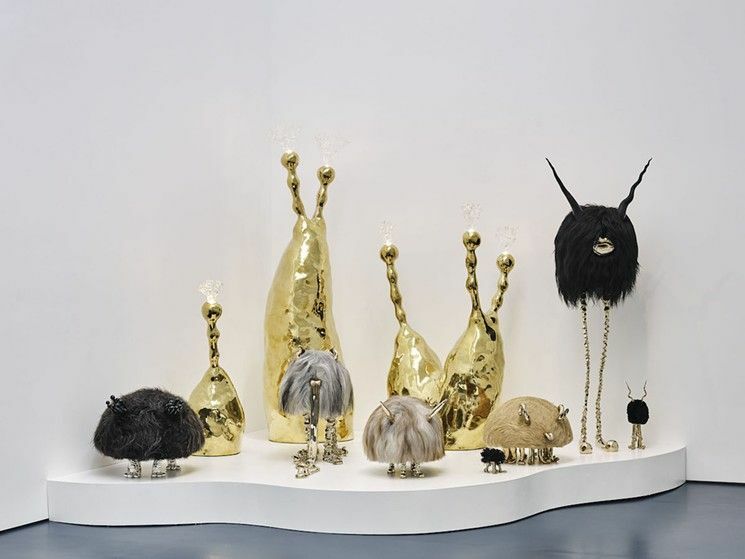 It attracts the most influential collectors, gallerists, designers, curators, and critics from around the world in celebration of design, architecture, art, fashion, and culture. Aqua Art Miami is recognized for presenting vibrant and noteworthy art, performance art, and media art, Aqua affiliates young dealers and galleries with emerging and mid career artists from around the globe. Set within a classic South Beach hotel, Aqua Art offers visitors easy access to Art Basel at the convention center and shuttle service to its sister fairs, Art Miami and Context. Scope takes place on the sands of Miami Beach within a 70,000 square foot pavilion adjacent to South Beach's acclaimed Art Deco district. Scope showcases an extraordinary presentation of emerging contemporary art attracting emerging galleries, collectors, curators, and visitors looking for new discovery. Scope features and outdoor beach lounge and views of the Atlantic Ocean. Pulse, held annually in New York and Miami, is one of the leading US art fairs dedicated solely to contemporary art. It provides a unique platform for diverse galleries to showcase a progressive blend of renowned and pioneering contemporary artists, large scale installations, and innovative programming. Distincitve Art Galleries surrounded by a tranquil courtyard in the historic Suites of Dorchester Hotel. International, curated Art Fair featuring galleries from all over the world on Miami Beach. 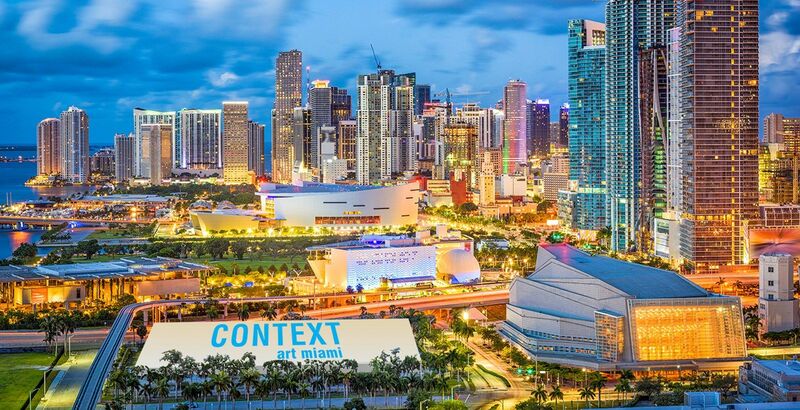 Complimenting Art Basel is the annual Art Miami, Context, Nada, and the Red Dot Art Fair that run simultaneously offering visitors additional top notch art works from around the globe. The collaboration of these exclusive events constitute Miami Art Week. Art Miami showcases premier works of contemporary 20th and 21st century art from over 125 galleries and art institutions from around the world. It is an annual event since 1989 held during Art Basel at the Art Miami pavilion in Miami Midtown in the Edgewater/Wynwood Arts district just north of Downtown Miami. 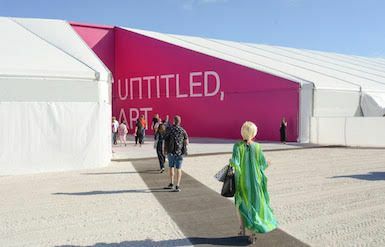 It is one of the most important US art events attracting over 60,000 collectors, curators, museum professionals, and art enthusiasts every year.Context is the annual sister fair to Art Miami that takes place in its own large pavilion adjacent to the Art Miami pavilion joined by a cafe and lounge. The open atmosphere is the ultimate platform to present cutting edge works, curated projects, and exhibitions from emerging talent and mid career artists. CONTEXT ART FAIR, the sister fair to Art Miami, connects to Art Miami on scenic Biscayne Bay between the McArthur Causeway and the Venetian Causeway. The Red Dot Art Fair is an annual event that runs concurrent with Art Basel and Art Miami. Acclaimed for its diversity, Red Dot offers a unique selection of over 60 galleries exhibiting painting, sculpture, photography, and fine art from around the world. Red Dot Fair showcases a unique collection of art from emerging, mid career, and established artists. NADA ART FAIR - Dec 6-9 2018 - Contemporary Art Fair - Ice Palace Studios, 59 NW 14th Street Miami - NadaArtDealers.org - Must see booth "Through the looking glass". Nada Art Fair is a non profit event that creates an open flow of information, support, and collaboration amongst the youngest and strongest art galleries of emerging contemporary art from around the world. The contemporary art displayed nurtures the growth of emerging artists, curators, and galleries. ART AFRICA MIAMI - Overtown - 920 NW 2nd Ave MIami - Dec 5-9 - Spotlights work of artists from Africa and the Caribbean Diaspora - this years theme is "Black Art Matters: It's not a choice"